Jorge Francisco Isidoro Luis Borges, was an Argentine author, short-story writer, essayist, poet and translator, and a key figure in Spanish language literature. Borges's works have contributed to philosophical literature and also to the fantasy genre. In his poetry he exhibits a profound interest in metaphysical aspect of reality. Jorge Luis Borges was taught at home until the age of 11, was bilingual in Spanish and English, reading Shakespeare in the latter at the age of twelve. In 1914, the family moved to Geneva, Switzerland, and spent the next decade in Europe. The Borges family decided that, due to political unrest in Argentina, they would remain in Switzerland during the war, staying until 1921. In 1921, Jorge Luis Borges returned with his family to Buenos Aires. He had little formal education, no qualifications and few friends. In Buenos Aires Borges rediscovered his native city and began to sing of its beauty in poems that imaginatively reconstructed its past and present. His first published book was a volume of poems, Fervor de Buenos Aires, poemas (1923; “Fervour of Buenos Aires, Poems”). By the mid-1930s, he began to explore existential questions and fiction. In 1933, Borges gained an editorial appointment at the literary supplement of the newspaper Crítica, where he first published the pieces collected as Historia universal de la infamia. In 1938, Borges found work as first assistant at the Miguel Cané Municipal Library. It was in a working class area and there were so few books that cataloguing more than one hundred books per day, he was told, would leave little to do for the other staff and so look bad. The task took him about an hour each day and the rest of his time he spent in the basement of the library, writing and translating. In 1938, the year his father died, Borges suffered a severe head wound and subsequent blood poisoning, which left him near death, bereft of speech, and fearing for his sanity. This experience appears to have freed in him the deepest forces of creation. In the next eight years he produced his best fantastic stories, those later collected in Ficciones (“Fictions”) and the volume of English translations titled The Aleph and Other Stories. During this time, he and another writer, Adolfo Bioy Casares, jointly wrote detective stories under the pseudonym H. Bustos Domecq (combining ancestral names of the two writers’ families), which were published in 1942 as Seis problemas para Don Isidro Parodi (Six Problems for Don Isidro Parodi). The works of this period revealed for the first time Borges’s entire dreamworld, an ironical or paradoxical version of the real one, with its own language and systems of symbols. When the dictatorship of Juan Perón came to power in 1946, Borges was dismissed from his library position for having expressed support of the Allies in World War II. With the help of friends, he earned his way by lecturing, editing, and writing. When Perón was deposed in 1955, Borges became director of the national library, an honorific position, and also professor of English and American literature at the University of Buenos Aires. By this time, Borges suffered from total blindness, a hereditary affliction that had also attacked his father and had progressively diminished his own eyesight from the 1920s onward. It had forced him to abandon the writing of long texts and to begin dictating to his mother or to secretaries or friends. The works that date from this late period, such as El hacedor (1960; “The Doer,” Eng. trans. Dreamtigers) and El libro de los seres imaginarios (1967; The Book of Imaginary Beings), almost erase the distinctions between the genres of prose and poetry. His later collections of stories include El informe de Brodie (1970; Dr. Brodie’s Report), which deals with revenge, murder, and horror, and El libro de arena (1975; The Book of Sand), both of which are allegories combining the simplicity of a folk storyteller with the complex vision of a man who has explored the labyrinths of his own being to its core. After 1961, when he and Samuel Beckett shared the Formentor Prize, an international award given for unpublished manuscripts, Borges’s tales and poems were increasingly acclaimed as classics of 20th-century world literature. While Beckett had garnered a distinguished reputation in Europe and America, Jorge Luis Borges had been largely unknown and untranslated in the English-speaking world and the prize stirred great interest in his work. By the time of his death, the nightmare world of his “fictions” had come to be compared to the world of Franz Kafka and to be praised for concentrating common language into its most enduring form. Through his work, Latin American literature emerged from the academic realm into the realm of generally educated readers. One thing sets Borges apart from most of his contemporaries, and that is his fascination with philosophy, especially metaphysics. 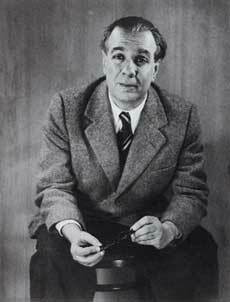 Jorge Luis Borges, one of the best Argentinian authors, died of liver cancer in 1986 in Geneva and was buried there in the Cimetière des Rois.